In last two decades, substantial efforts have been made to develop in vitro diagnostic (IVD) technologies. Their distinct features, including: rapid results, reduced patient discomfort, simplicity, cost-effectiveness, enablement of early diagnosing and accessibility in remote areas, make these technologies attractive to the medical profession. IVD tests are generally performed on biological samples such as blood, sweat, urine or tissue, in a controlled environment outside a living organism, with the goal of obtaining a diagnosis from the assays. Traditional IVDs are usually conducted in laboratories equipped with expensive instrumentation and staffed with trained personnel responsible for performing the tests. Over the past decades, diagnostic testing has steadily moved out of the central laboratory and into testing sites closer to patients. This testing modality, referred to as point-of-care testing (POCT), has enabled laboratory service providers to perform testing wherever the patient is located, facilitating disease diagnosis, monitoring, and management. Current POCT is available for pregnancy testing, blood glucose testing, HIV testing, hemoglobin concentrations, complete blood count, cardiac biomarkers and numerous additional applications. Thousands of new POCT devices are introduced each year and health care workers have increasingly adopted these advanced testing technologies and care strategies. This new approach provides rapid, highly sensitive and low-cost testing, in addition to improving diagnostic, therapeutic, and monitoring practices, thus, increasing patient satisfaction. Further, POCT based applications can easily be expanded from health care to other analytical applications such as environmental monitoring, food safety and homeland security. Dramatic technological innovations in POCT have been made during the past few years. For instance, nanotechnologies significantly enhance optical, electrical, magnetic, and chemical properties, responsible for improving the performance of POCT. The development of miniaturized biosensors with integration of functional materials, and machine learning, has been considered the most critical component of POCT for directly responding bioanalytical performance; due to the increased test accuracy, precision, and easier connection and management of data. Complementary technologies such as, microfluidics, lab-on-a-chip technologies, artificial intelligence, system integration, device automation, and signal readout, are providing the desired impetus for continuous improvements in POCT. The special issue targets the critical advances in Analytical Chemistry and Advanced Manufacturing. It additionally provides guided insights and directions for future research in the technology development for POCT and IVD. Ten world-class research groups from China, USA, Canada and India contributed 4 original research papers and 6 review papers. The topics include but are not limited to, paper-based electrochemical biosensor, nanozyme based immunoassay, microfluidic devices, surface plasmon resonance techniques, functional nanomaterials, molecules and disease biomarkers detection. The first work, contributed by Professor Subbiah Alwarappan at CSIR-Central Electrochemical Research Institute (India), summarizes a review about microfluidic electrochemical devices for biosensing. The second paper, from Professor Fei Li, at Xi’an Jiaotong University (China), provides a comprehensive review of paper-based electrochemical biosensors, in particular for point-of-care testing of neurotransmitters. Professor Shaomin Shuang at Shanxi University (China) overviewed recent advances in developing carbon nanodots as biosensing probes and its applications in cancer diagnosis and treatment. Professor Charles Mace, from Tufts University (USA), contributes a review on scalable methods for device patterning which is an outstanding challenge in translating paper-based microfluidics from the academic benchtop to the point-of-care. Professor Jason Dwyer, at University of Rhode Island (USA), contributes a review on topic of challenging nanopores with analyte scope and environment. With over 25 years of experience in quantitative POCT development, my lab at Florida International University contributes a review article with focus on introducing sweat based IVD test, including current state of the art and challenges in sweat biomarkers identification, sample collection, and reproducibility amongst others. Professor Jinghua Yu at Jinan University (China) describes a novel surface plasmon resonance integrated paper based biosensing platform for real-time measurements of H2S. Professor Yuehe Lin, at Washington State University (USA), develops a nanozyme enhanced colorimetric immunoassay for detection of Salmonella Enteritidis by naked eyes. Professor Hogan Yu, at Simon Fraser University (Canada), contributes a paper about the interactions between Hemin-binding DNA Aptamers and Hemin-Graphene Nanosheets, which was found with reduced affinity but unperturbed catalytic activity. Finally, Professor Ashok Mulchandani, from of Riverside, California (USA), describes a new electrochemical biosensor for rapid detection of viable bacteria and antibiotic screening. This issue represents only a small sampling of the technical contributions from the POCT and IVD ocean. We hope this special topic could provide valuable references to the related researchers. To conclude, we would like to express our sincere gratitude to all the authors who have contributed their high-quality manuscripts to this special issue. We also appreciate all referees for their diligent reviewes of the submitted manuscripts. We believe that the content provided in this issue will be helpful to our readers involved in the research area of Biosensors, POCT and IVD. 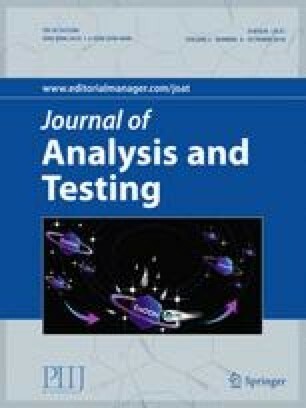 The Journal of Analysis and Testing is a new journal which provides an international academic platform for the publication of original research papers, rapid communications, and critical reviews in all aspects of fundamental and applied analytical chemistry. On behalf of the authors, we thank the journal for the opportunity of having a special issue on the emerging topics of POCT and IVE. We deeply hope that our colleagues will continue to share their excellent research studies with us in the Journal of Analysis and Testing. Prof. Chen-zhong Li is the current program director of Biosensing program at the National Science Foundation (NSF) of USA. He is also the Worlds Ahead distinguished professor of biomedical engineering and the director of Nanobioengineering/Biosensors Lab in Florida International University (FIU). Dr. Li’s research interests include biosensors, in vitro diagnosis, Point Care of Testing, neuron-device interface, cell/organ on a chip, electric therapy and electron transfer study of various biomaterials. 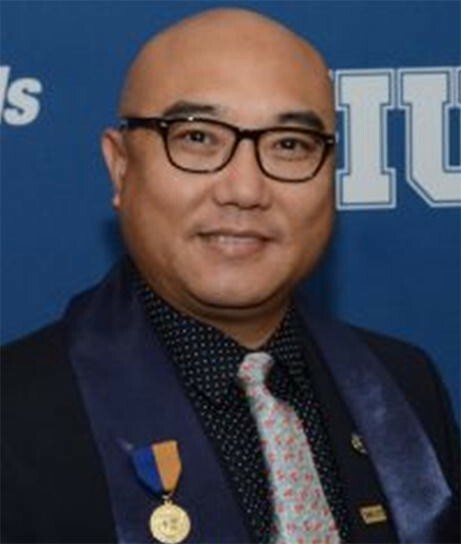 The impact of Dr. Li’s research has been documented in 10 granted patents, approximately 140 peer-reviewed journal papers with H-index 43, 2 books, 7 book chapters, over 110 keynote/invited lectures and seminars at National/International conferences and institutions. Dr. Li is the associate editor of several flagship journals including Biosensors and Bioelectronics, and Microsystems & Nanoengineering, amongst others. He is Editor in Chief of the journal of Critical Review in Biomedical Engineering. Additionally, he is an elected fellow of the American Institute for Medical and Biological Engineering (AIMBE) and a senior member of IEEE. In recognition for his work, Dr. Li has received several awards and honors including the Kauffman Entrepreneurship Professor Award in 2009 and 2011, 2014 JSPS (Japan) Professor Fellowship Award, 2014 FIU Excellent Faculty Award in Research and Creative Activities, 2016 Pioneer in Technology Development Award by the Society of Braining Mapping &Therapeutics and Brain Mapping Foundations, 2016 the Finalist for FIU President’s Council Worlds Ahead Award, and 2016 Minority-Serving Institution Faculty Award in Cancer Research, by the American Association for Cancer Research. After Dr. Li received his M.Sc (Analytical Chemistry) and Ph.D. (Bioengineering, 2000) from Kumamoto University in Japan, he carried out post-doctoral research in Molecular Biology at the University of British Columbia. He later worked at a startup company Advanced Technologies, Inc. as a Professional Research Associate. Subsequently, he started his career as an independent PI as a Research Officer at the Nanobiotechnology/Biosensor Group of Biotechnology Research Institute (Montreal), Canada National Research Council till 2006.